I became interested in Sarah Dale’s writing after she guest-posted on the ALLi blog about how she’s managed to combine her love of writing with her day job. She’s an occupational psychologist. She then kindly offered me a free review copy of her latest book, which I avidly accepted. To compile this advice, Sarah Dale interviewed 20 women over 60 who inspired her – REAL women, not celebrities with a manufactured public image or with a vested interest in conveying a particular message. 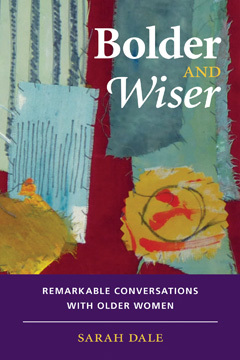 From these subjects, she harvested wisdom about how to live a fulfilling life, before mulling it over and presenting her conclusions in a very well-organised, themed manner. Reading the book offers the reader a short-cut to the condensed wisdom of these 20 women. The author also generously draws on examples from the her own life (she was approaching 50 at the time of writing) to illustrate her subjects’ points and to put their advice into perspective. Although the author is a psychologist by profession, her book reads like a conversation you might have with a good friend – intimate, confessional, humorous, poignant but ultimately cheery. She is comfortable exposing her vulnerability, which makes her easy to like and respond to. This personal tone makes the book much more authoritative, ironically, than if presented in a more dispassionate, academic way. Each chapter is on a specific aspect of everywoman’s life – motherhood, caring, housework, etc. This structure will make it easy to refer back to after the initial reading, should you need future reassurance and guidance on any particular issue. Worried that your house is a mess? Better to reread the Domestic Goddess chapter with a restorative cup of tea than spend hours cleaning it up (again). Stressed about your lack of a pension? Take heart from the Root of All Evil chapter. Then get back to enjoying the things that really matter. That’s not to say the book’s a licence for the hedonist – it’s more about aiming for a realistic balance and offering reassurance when life threatens to get stressful. Offering reassurance is one of the things it does best, confirming what does and does not matter in the bigger picture of life. It’s like reading a definitive, very intelligent (but not threateningly intellectual) version of those surveys in women’s magazines that make you sigh with relief to find out that you’re – gasp – normal. Having started reading this book with a significant birthday looming unpleasantly (well, they’re all significant at my age), I definitely felt bolder AND wiser by the time I finished this book, and actually prouder of myself too. I’ll be buying extra copies as birthday presents for friends in future – and keeping an eye open for more books by Sarah Dale. In short – an enjoyable, empowering book, highly recommended. Find out more about Sarah Dale and her work at www.creatingfocus.org. 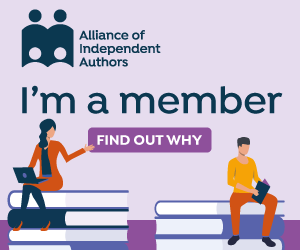 Read Sarah Dale’s guest post on the ALLi blog of self-publishing advice about combining her love of writing with her day job.